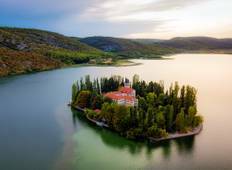 Find a Boat trip that explores Balkans. There are 65 tours to choose from, that range in length from 4 days up to 24 days. The most popular month for these tours is June, which has the most tour departures. "This experience was awesome! This was my first time overseas, I was nervous and excited...."
"We Knew the moment we saw the luxurious motor yacht that our day of cruising, sightseeing'..."